Pivot tables are powerful tools in Excel that help you summarize and make sense of data. Pivot tables are one of Excel’s most powerful functions, but they are also one of the most intimidating. These are powerful because they can help you make sense of and summarize a massive amount of data. The intimidation comes in because these tables have a reputation for being complex, so you’ll need to learn how to create and use them. There is good news on several fronts. First, pivot tables get a bad rap of sorts. They can be simple enough to create and are even fun to work with. Second, there are a ton of resources online to help you learn how to use pivot tables. Before we direct you to the top Excel pivot table tutorials, let’s examine what a pivot table is and why you might want to use one. A pivot table is a table in Excel that summarizes your selected data. It allows you to report summaries and explore trends in your information. Pivot tables are particularly useful when you have a large amount of data, meaning long columns and rows, that hold values you might need to track or compare. Excel spreadsheets can hold a massive amount of information. For example, Microsoft Excel 2016 allows as many as 1,048,576 rows by 16,384 columns before it puts on the brakes. That’s a lot of data! Few spreadsheets get this large, but if yours becomes unwieldy, you’ll need a way to summarize some of that data to draw conclusions more easily. This is where a pivot table can help. 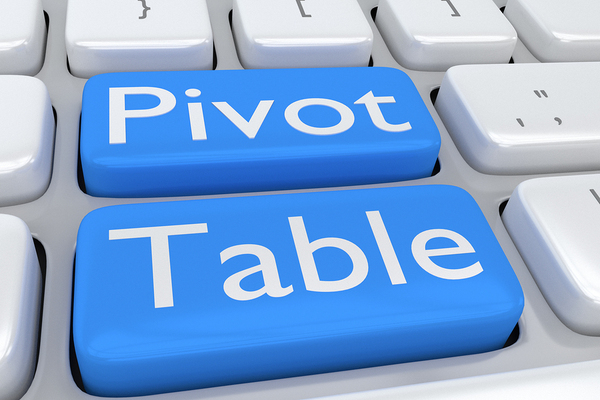 The “pivot” in pivot tables refers to the fact that this feature of Excel can rotate, allowing you to view it from a different angle. While you aren’t changing the data when you pivot the table, you are reorganizing it to make it more relevant to your needs. This pivot table training will help you deal with large amounts of data in Excel. Most people understand a pivot table more thoroughly after seeing them in action or getting a sense for how they’re used. Here are a few scenarios in which you might want to create and use a pivot table in Excel. Compare sales totals of different products. Assume you have a spreadsheet with sales data for a variety of different products. 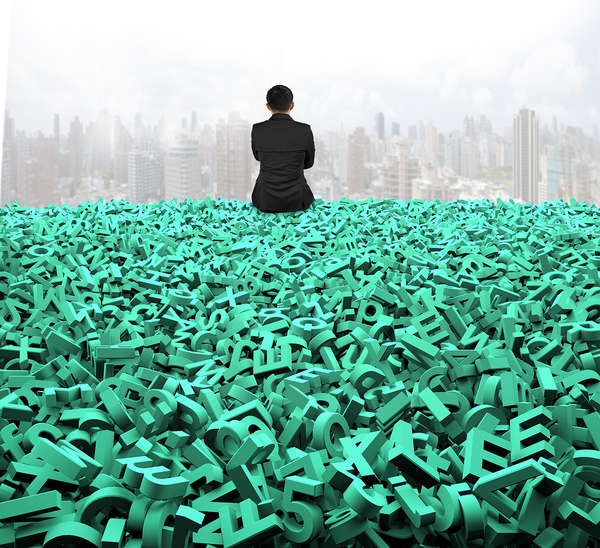 Finding out which one is most profitable could be time-consuming without a summary. A pivot table can pull in the totals for product A, product B, and product C, etc. automatically and make this process seamless. Combine duplicate data. Let’s assume that you have a huge spreadsheet with thousands of rows of data. Some of that data is duplicated, and you want a list of unique items only. A pivot table can not only summarize your data but also exclude duplicate values. Create automatic calculations. Pivot tables are useful for making automatic calculations based on a summary of your selected data. For example, if you have a spreadsheet that lists all employees in the company by department, a pivot table can summarize this and tell you how many current employees are in each department. Add default values to empty cells. Not every Excel spreadsheet you create is going to have all of its cells populated. In fact, you might have a ton of cells sitting empty that are waiting for new data to come in. You can populate all of these empty cells with a default value such as “TBD” or “$0” in your pivot table. Now that you know what a pivot table is and some of the ways that you might use one, the next step is learning the basics of pivot table creation and formatting. Fortunately, there are a ton of resources available that can help. Here are ten of the top Excel pivot table tutorials that can get you on your way to becoming a pro with this feature. If you need assistance with learning or troubleshooting Excel pivot tables, Excel Chat can help. 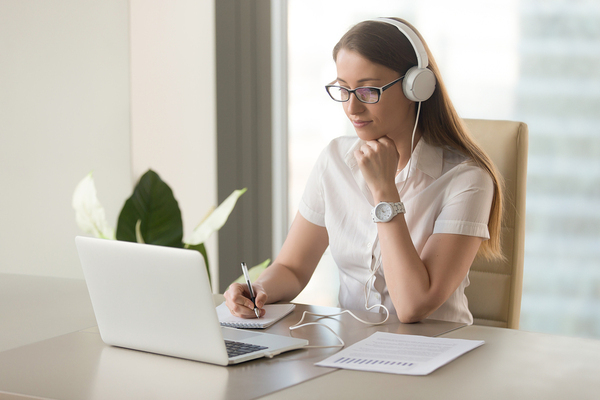 One of the top online resources for learning Excel and getting personalized assistance, Excel Chat has a ton of online articles and examples related to creating and editing pivot tables. One of the best things about this website is that you can get one-on-one help with any Excel-related issue. Whether you are brand new to using pivot tables or need to solve a particular issue, the Live Chat feature is available around the clock to lend immediate assistance. Excel Chat can help you learn to work with pivot tables and troubleshoot specific issues through Live Chat. Microsoft Office provides some free Excel pivot table tutorials. Five different articles address the steps for Windows, macOS, and Online versions for Creating a Pivot Table, Analyzing Data in a Pivot Table, Grouping and Ungrouping Data in Pivot Tables, Filtering Data in a Pivot Table, and Arranging Fields in a Pivot Table. The articles also include instructional videos. Hubspot is a company that sells inbound sales and marketing software, but they also post a ton of useful content on their website. One thing that they have is a detailed Excel pivot table tutorial piece. This is a step-by-guide, including some videos, that walks the reader through creating a pivot table and doing some basic sorting. ExcelJet is a popular online provider of various Excel tutorials run by a husband and wife team. While there are some paid video courses and e-books for sale, there is also quite a bit of content that is free. The site has several articles and a few free videos related to creating and using a pivot table in Excel. Spreadsheeto is a company based in Denmark that specializes in creating easy to follow training for Excel. It has several paid solutions for mastering Excel and learning VBA, and it also has a ton of free tutorials on its site, including some pivot table guides. The free pivot table tutorial guide consists of 12 chapters that begin with explaining what a pivot table is and ends with some troubleshooting guides. There are also some free assignments included. Excel Campus is an online training site created by corporate finance expert Jon Acampora to help others learn Excel and advance their careers. There are some paid options as well as some free tutorials. There are over 40 pivot table-related articles and tutorials on this site that deal with various topics from the basic to the more complex. Contextures is a site dedicated to Excel training that also sells some products and add-ins for the program. It has a ton of free pivot table resources such as articles and videos that explain how to use this Excel feature. There are pivot table tutorials related to creation, sorting, formatting, filters, formulas, grouping, source data, troubleshooting, and more. Excel Chat is available for one-on-one training in Excel around the clock. Excel Easy is a popular online source for Excel tutorials. It has a nine-chapter pivot table tutorial program that includes some detailed illustrations and a downloadable sample Excel file. The tutorials for pivot tables include inserting a pivot table into a spreadsheet, getting data, grouping items, slicers, updating pivot tables, calculated fields, slicers, and more. Trump Excel is a resource for Excel enthusiasts that was founded in 2013. There are several paid courses but also some in-depth tutorials on a variety of topics, including pivot tables. There are eleven pivot table tutorials that the site puts in order from “Creating a Pivot Table” to “How to Apply Conditional Formatting in a Pivot Table in Excel.” The tutorials are detailed, and some include downloads for sample data. Excel with Business founded in 2009 to address the issue of ineffective Excel training within the business community. It now has a library of over 50 Microsoft and Business training courses, many dealing with Excel. While some are paid, there are also some free tutorials that can teach you about pivot tables. The company’s pivot table guide is useful because it includes a free worksheet that allows the reader to follow along through the tutorial. It goes through the steps of creating a pivot table and then showing some advanced techniques. Pivot tables allow you to look at and analyze data differently, particularly if you have a large data set. But, you might need some help troubleshooting a particular issue with a pivot table or just want some more personalized instruction. Excel Chat not only has a ton of resources related to creating and using pivot tables, but we are also available for one-on-one assistance. You can reach one of our thousands of Excel experts 24 hours a day to ask a question or get help with a particular issue via live chat. Your first session is always free.